Anyone who has seen a show at the freshly minted Eccles Theater in downtown Salt Lake City will agree—Regent Street is seeing way more action now than it did during its time as Salt Lake’s red-light district. With the help of Salt Lake’s Redevelopment Agency, the metropolitan avenue is getting a major facelift. Bells and whistles aside, it’s the restaurants fixing to make Regent Street their home that have my attention. Fireside on Regent has been treating diners to casual but impeccably prepared Central Italian fare, and Pretty Bird focuses on Nashville-style hot chicken. If these two restaurants are representative of what’s to come in the area, we’re in for something very special. 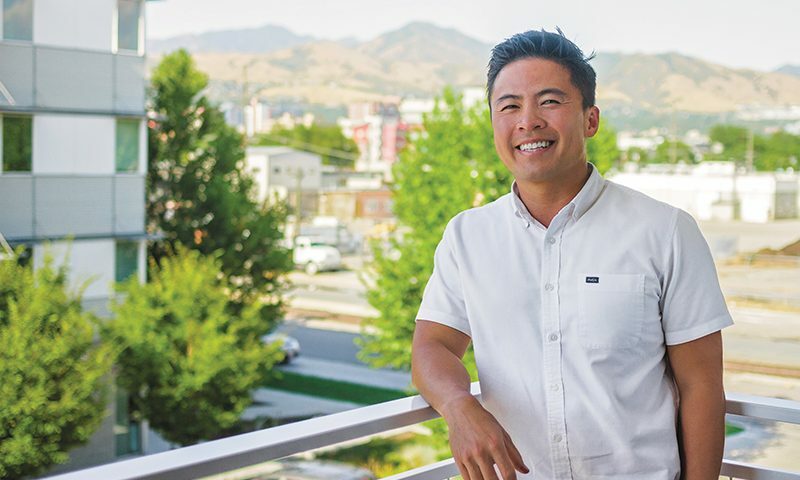 Chef Viet Pham is arguably one of Salt Lake’s most influential chefs. His work with Bowman Brown within the confines of the dearly departed Downtown staple Forage earned both chefs a reputation boasting Best New Chef Award from Food & Wine Magazine in 2011. He’s appeared on TV several times, most notably, perhaps, as a contestant on season nine of Food Network’s cooking competition Food Network Star. A resume like that makes the idea of chatting with him about Pretty Bird, his new restaurant on Regent Street, a bit intimidating—until we begin discussing the wonders of fried chicken. “If you were going to ask me what my last meal would be, it’s not going to be caviar, foie gras, lobster or steak,” he says, “It’s going to be a bucket of KFC original, and a bucket of KFC extra crispy.” At this moment, I realize that I’ve found a kindred spirit. Sure, Pham has been recognized by the James Beard Foundation as a culinary pioneer, but the purity of his love for fried chicken is enough to put me at ease. Once he graduated from college, Pham enrolled in culinary school for the hell of it. “It was always something I had wanted to do,” he says. “I ended up going to the California Culinary Academy in San Francisco and I absolutely hated it.” If it hadn’t been for the academy’s internship requirement, it’s likely that Pham would have turned his back on professional cooking altogether. His internship took him to Fifth Floor, where he worked in the kitchen of Laurent Gras. 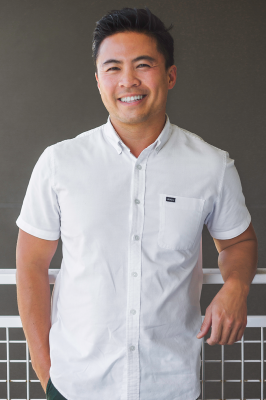 “He had just gotten Food & Wine Magazine’s Best Chef Award, and I remember being envious of that, and I wanted to do everything that it took to be like that one day,” says Pham. After a brutal three-month internship that tested Pham’s limits in every way, he started to visualize his career as a chef. “I think for the first time in my professional career, I felt like this was something that I wanted to do more than anything else,” he says. 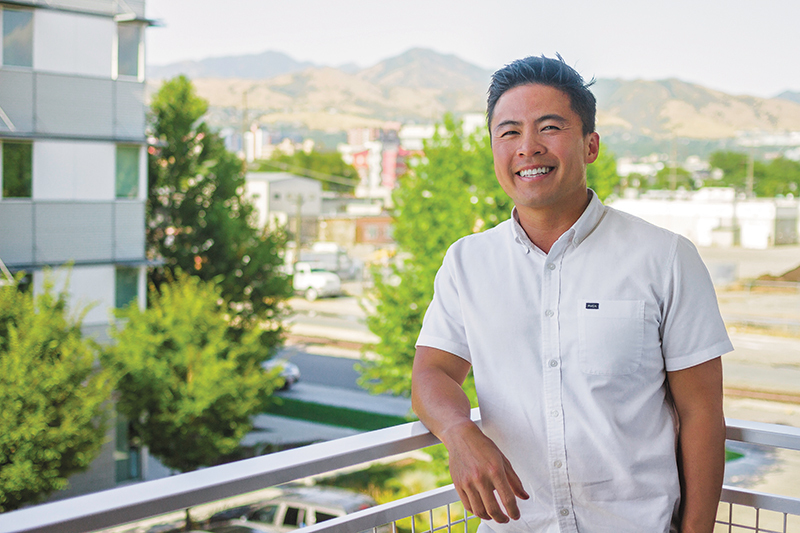 Pham’s culinary career in Utah is the subject of much adoration. Forage was a major fixture in Salt Lake, and its recognition by Food & Wine Magazine helped usher in a new era of amazing chefs and restaurateurs that has taken root throughout the Wasatch Front. Pham speaks of his time at Forage with nothing but respect, but his new project on Regent Street is something that he’s really looking forward to. “Pretty Bird is based on the concept of Nashville hot chicken,” he says. “It’s gained extreme popularity all over the world, and it’s one of those universal food items that everyone loves.” At the time of writing, Pretty Bird is scheduled to open its doors in early September, if all goes according to plan, and Pham is looking forward to remixing the fried chicken genre by adding Japanese, Mexican and Indian flavor profiles to his recipes. I know I’m not the only one who has been following Pham’s trajectory, and I also know that I’m not the only one who cannot wait for Pretty Bird to open its doors.